Grey Jars #1,10"x10",Giclee Print,Ball Jars, Mason Jars,print on canvas of my original painting. Grey Jars #1....Giclee Print on canvas of my original painting. 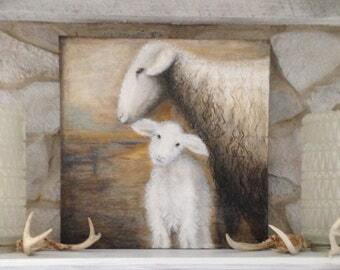 This looks amazing in my dining room behind my barn doors. I simply love it! Perfect for my neutral, farmhouse decor. Stunning piece...will be back !! This is a beautiful painting. It is on high quality canvas and it looks exactly as advertised and probably better in my humble opinion. I LOVE IT! I can’t wait to stretch it on a frame and hang it in my dining room. "Hi there!" Welcome to Studio B! Studio B is where I like to 'play'! i was so lucky to find these two amazing vintage photographers lights. My collection of old enamelware, not only holds my paints, but is a fun nod to nostalgia. A cozy corner in Studio B. I've been collecting vintage furniture for years. An old enamelware farm table on wheels is by my side while painting. a vintage paper cutter is still functional. i've been an artist all of my life.…i just can't help it. i absolutely loved being a stay at home mom through my kiddos childhoods, but like many women, i kind of put my own interests on the back burner. in my forties i became a master gardener and started a successful gardening business, which has kept me very busy and my creative juices flowing….I've dabbled in lots of art mediums over the years and have a passion for photography, decorating and design of any kind. i started to teach myself to paint when i was about fifty and quickly became passionate about it. during a long recovery from a foot surgery, i started a blog called "erin's art and gardens", so i could share photos of my gardens and perhaps some of my art….perhaps…*wink* i became hooked on blogging and becoming a better photographer, eventually, i became brave enough (more "Faith than Fear") to start sharing some of the paintings i was working on. the blogging community was so supportive that i gained more and more confidence in my art and self worth, that i actually started calling myself an "artist"…yes, lil ol me! ....after several requests to buy some of my paintings, and accumulating so many, i decided it was time to let some of them go and tried my hand at selling a few things on Etsy. i admit that i am one to ease-in to things and here i am, now in my fifties transitioning from a gardener into an artist! i never have enough time in the day to do all of the things i want to do and i feel like i am just getting started! i believe…..
its never too late to try something new! passionate artist and master gardener. i love to paint pretty pictures, inspired by nature and the gorgeous horse country of my beloved Tennessee. Welcome! Thank you so much for taking the time to consider my artwork.I am constantly inspired by Nature. 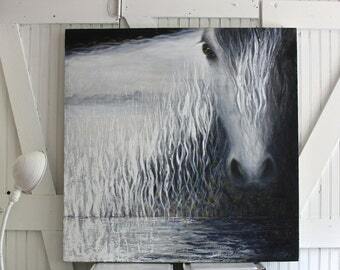 I love to paint dreamy ethereal landscapes and animals. I paint from my very own photographs, of the beautiful landscape of the surrounding rolling hills, of my beloved Tennessee. I am so blessed to be surrounded by gorgeous horse farms. I see beauty all around me. Whether I am puttering in the garden or painting in my Studio B, I love to create, every day. if you are not completely satisfied with your purchase, Returns will be accepted within 15 days of receipt and, if returned in perfect condition, will be refunded in full. Damaged and lost items will be replaced once a claim is filed with the shipping company. I currently accept PayPal, credit cards and Etsy Gift Cards. Payment upon order placement is appreciated. Giclee Prints are made to order. I ship to the address on your Etsy invoice. All orders ship from the US. US and international shipments are sent via United States Post Office. Special requests for expedited or other shipping options are welcome. Please contact me. Items are packaged with tender loving care and extra precautions to ensure they arrive safely. Giclee Prints are rolled up and shipped in a tube. The most convenient, inexpensive and safe method for shipping. Copyright Notice: All images shown in this shop are copyrighted under US and International copyright law to Erins Art and Gardens and may not be used without express permission.